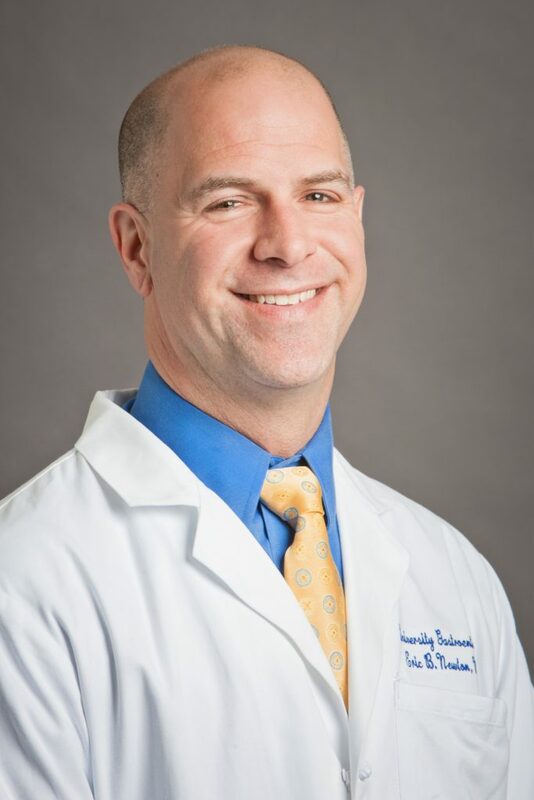 Dr. Eric B. Newton, a board-certified gastroenterologist at University Gastroenterology, is well-versed in gastroenterology, a branch of medicine that focuses on the digestive system and the treatment of diseases affecting gastrointestinal tracts. He is also experienced in the treatment of end-stage liver disease, hepatitis B and hepatitis C, fatty liver disease, colorectal cancer and inflammatory bowel disease – an umbrella term for disorders that include Crohn’s disease and ulcerative colitis. Newton, who is also a clinical associate professor of medicine at Brown University’s Warren Alpert Medical School, completed his residency in internal medicine at Brown University before completing a fellowship in gastroenterology at the University of Connecticut. Newton is an alumnus of Dartmouth College and received his medical degree from the Robert Larner College of Medicine at the University of Vermont. PBN: Hepatitis C has been called the silent epidemic of the 21st century. What should people know about this disease and who should be tested? NEWTON: Hepatitis C is a virus that affects millions of people worldwide. It is an infectious disease that is transmitted person to person through blood-to-blood contact associated with intravenous drug use, poorly sterilized medical equipment, needlestick injuries in health care and transfusions. The baby boomer generation – those born between the years 1945 and 1965 – has the highest rate of infection in the United States. One in 30 baby boomers is infected with the virus and an adult of this generation is five times more likely to have the infection than other adults. The reason for this is not completely understood, however most baby boomers are believed to have become infected in the 1960s through the 1980s when transmission of hepatitis C was highest. There has been a recent significant increase in hepatitis C transmission, particularly in younger people, due to the current opiate epidemic in this country. In fact, over the past five years, the number of new hepatitis C virus infections reported to [Centers for Disease Control and Prevention] has nearly tripled, reaching a 15-year high. Any person born between the years 1945 and 1965 should be tested for hepatitis C. In addition, anyone else at risk for this infection should be tested. This includes those who are current or have been former injection drug users, including those who injected only once many years ago; recipients of blood transfusions or solid organ transplants prior to July 1992; chronic hemodialysis patients; people with known exposures to [hepatitis C virus, or HCV], such as health care workers after needle sticks involving HCV-positive blood; recipients of blood or organs from a donor who tested HCV-positive; people with HIV infection; [and] children born to HCV-positive mothers. This is a simple blood test that can be ordered by your doctor. PBN: What is the treatment for hepatitis C? NEWTON: The treatment of hepatitis C has evolved tremendously over the last 10 years. In the past, the treatment was difficult, long in duration and involved medication that caused many side effects. Now the treatment is essentially one medication, taken only once a day for eight or 12 weeks. These medications, known as directly acting antivirals, [or] DAAs, have very few side effects at all. And the side effects tend to be very mild. In all, the treatment is effective in curing this disease in more than 90 percent of patients treated. Some people feel ashamed about this diagnosis and are afraid to be tested or see their doctor about this diagnosis. At the Liver Center at University Gastroenterology, we are dedicated to treating patients and curing them of this disease. PBN: How has University Gastroenterology’s Liver Center helped in the care for patients? NEWTON: The Liver Center at University Gastroenterology was established to provide a better patient experience for those with liver problems. Patients with liver disease of all types know that when they come to the Liver Center at UGI, they will have a positive experience. Doctors, nurses and staff coordinate care to provide the best treatment available. Dr. Thomas Sepe and his research team have participated in numerous clinical trials investigating which medications will be the most successful in treating liver diseases such as hepatitis C and fatty liver. As a result, patients at the Liver Center will have access to some of these medications and treatments before the rest of the population. PBN: What are some of the recent technologies you are utilizing to improve care for those with liver disease? NEWTON: There are numerous technologies that we utilize at University Gastroenterology to improve the care of patients with liver disease. One recent addition has been the use of FibroScan technology by Echosens. Any disease that causes inflammation in the liver can lead to scar tissue formation. Enough scar tissue accumulation in the liver can lead to cirrhosis. In the past, invasive and painful liver biopsies were required to assess the degree of scarring in the liver. The FibroScan machine now allows us to painlessly assess the amount of scar tissue in the liver. FibroScan is quick, easy, painless and provides extremely useful and reliable information. In addition to FibroScan, we partner with local radiology groups to provide top-of-the-line imaging such as ultrasound, CT scan and MRI. PBN: What is the focus on liver disease for the future? NEWTON: While we remain committed to treating any patient with liver disease from any cause, there are several emerging trends in liver disease. By far and away, the most concerning issue is the explosion of fatty liver disease. Millions of Americans are struggling with obesity, diabetes and abnormal cholesterol levels. This is known as metabolic syndrome. Many patients who are overweight, obese or have metabolic syndrome will accumulate excess fat in the liver. In some of these patients this fat can cause inflammation in the liver cells called NASH, nonalcoholic steatohepatitis. NASH, like other inflammatory conditions in the liver, can lead to scar tissue formation and cirrhosis. It is believed that fatty liver affects 30-40 percent of all Americans and NASH affects 3-12 percent. Given these numbers, it is believed that fatty liver disease and NASH is set to be a chronic disease that impacts Americans in epidemic-like numbers. Within the next few years, fatty liver disease will overtake hepatitis C as the leading indication for liver transplantation and lead to a massive increase in the number of cases of cirrhosis and liver cancer. Making this problem more complicated, there are no medications available to treat this disease at this time. Only diet, exercise and weight loss are proven therapies. At the Liver Center at University Gastroenterology, we are currently participating in numerous clinical trials to find medications that will effectively combat this disease and emerging epidemic.